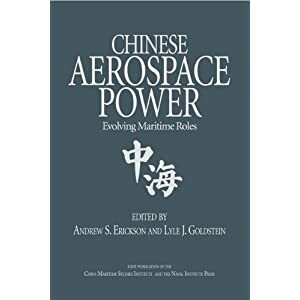 Malcolm H. Murfett, National University of Singapore, review of Andrew S. Erickson, Lyle J. Goldstein, and Carnes Lord, eds., China Goes to Sea: Maritime Transformation in Comparative Historical Perspective (Annapolis, MD: Naval Institute Press, 2009); International Journal of Maritime History, Vol. 22, No. 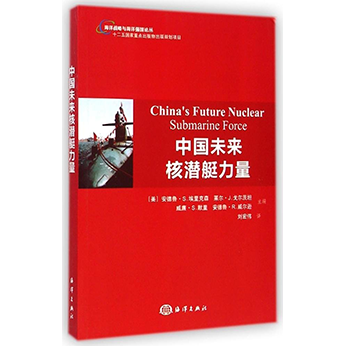 1 (June 2010), pp. 384-86. …an excellent book of two distinct halves! … Absorbing and well-written chapters by Gregory Gilbert, Barry Strauss, and Arthur Eckstein on Persia, Sparta, and the Roman Republic respectively serve both to encourage and warn… that much can be done in essentially non-traditional ways but that dangers lie in wait for those who fail to apprehend the signs of decay which are almost always self-induced. Authoritative essays by Jakub Grygiel, James Pritchard and Jacob Kipp follow in the shape of the… naval history of the Ottoman Empire, France, and Russia during the early to late-modern period, while the contrasting fortunes and potential exhibited by both Tirpitzian Germany and Soviet Russia in the last century are splendidly captured (as one would have expected) by those naval stalwarts Holger Herwig and Milan Vego. … the essays (and the excellent maps that go with them) could easily form a slim volume on their own. 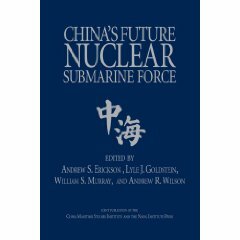 Bruce Elleman breaks up his fine, persuasive and ultimately sobering chapter on the Qing into four parts and aptly sums up the overall lumbering and ineffectual maritime policy of the Manchu leadership as one of neglect and nadir. These lamentable mistakes were not just consigned to the Qing, however, as Bernard Cole demonstrates all too clearly in his essay “More Red than Expert,” in which he deftly ranges over the entire period of the Cold War and underlines the contrasting role of Mao and Deng in these tumultuous years…. 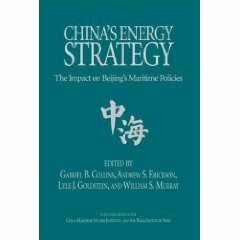 China Goes to Sea moves toward its conclusion with two fascinating essays devoted to the contemporary situation: Gabriel Collins and Michael Grubb’s illuminating account of the exceptional growth in the PRC’s commercial shipbuilding that has exerted a “pulling” effect on the PLAN’s… development; and Eric McVadon’s informed and spirited commentary on the PLAN…. 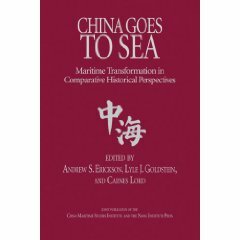 …China Goes to Sea is to be welcomed for all the right scholarly reasons and its contributors are to be congratulated for shedding further light on the fascinating yet manifestly unfinished story of China’s maritime transformation.